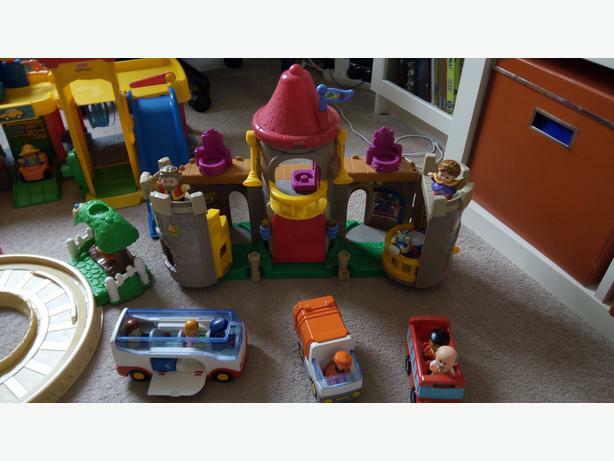 Fisher Price Little People Garage, Castle and Train Set. Working electronics, from a clean non smoking household. Also includes some playmobile vehicles.